It’s no secret that retailers are suffering as they try to figure out how to navigate the confusing web of technology, social media, discounts, and millennial mindsets. 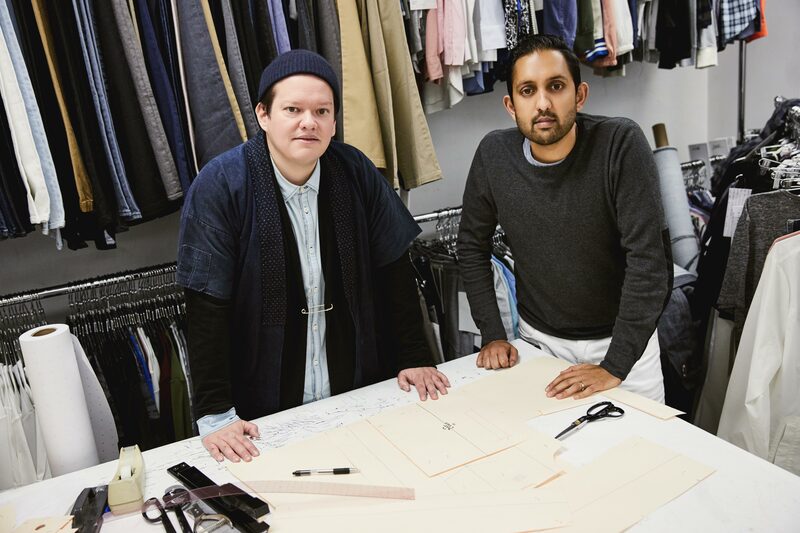 Five Four Club co-founders Andres Izquieta and Dee Murthy have been weathering the ups and downs of the apparel business ever since they graduated college 15 years ago. But at 36 and with over a decade of experience under their belts and having survived the recession, the duo has finally landed on a winning formula: an affordable and quality subscription-based service for men who want to look good without having to think about putting together an outfit. How much are men buying into the concept? In just one year, the multimillion dollar business is on track to more than double its business in 2017. Izquieta and Murthy fills us in on the secret to their Midas touch. I know you guys met in college, but how did you actually arrive on the idea of Five Four? Andres Izquieta: We started Five Four in 2002, and we had conceptualized the idea in 2001. I actually was biased against the clothing because we had walked into an H&M in New York in 2001 and it was the first H&M in America, and we thought, wow, there’s so many cool fashion styles at pretty accessible price points. At the time we were entering our senior year at USC, and we needed to write a bigger plan. We had been interested in fashion, but this kind of put everything over the edge. Over the course of the next two months we did some research, and in the spring of 2002 we launched Five Four Club while we were still in college. How has the brand evolved since you first began? Dee Murthy: When we graduated from college, we started in the most traditional sense of apparel in LA: making samples, doing production, and putting a bunch of samples in the trunks of our cars and traveling the country, doing door-to-door. We did regional trade shows like Magic in 2002 and we did the first-ever Project trade show, so we’ve been in the early days of all these more traditional ways to grow your business. We really grinded it out in the wholesale side of the business, and by 2005 to 2006 we got a lot of traction. We got into over 1,000 stores at that point. We were selling at Macy’s, Nordstrom, The Buckle, Atrium, Fred Segal, and so on. We had gotten so much momentum as a men’s contemporary collection, and then in 2008 when the recession hit, we had all the challenges of many other apparel businesses. How did you handle the blow of the recession? AI: We took a step back and realized we were dealing with cancellations, margin issues, and chargebacks. We were really at the mercy of department stores to scale our business and it wasn’t in the best interest of department stores to help emerging brands during the recession. They were just going to double down on Ralph Lauren, Tommy Hilfiger, and Calvin Klein. So, in 2009 we decided to go direct to our customers. At that point the Westfield group approached us and gave us really great terms on opening up retail stores in southern California. So we opened up three retail stores in the Los Angeles area, and we learned a lot of things quickly. What did you learn about brick-and-mortar? DM: One: There were no guys in the mall. Two: The guys always showed up when we were 50 percentoff. Three: When they were in the store, they had a hard time shopping and they didn’t know what they wanted. There was a heavy hand on curation on our side. So, we sat there in the stores for three more years, and in 2012 we were in the apparel business for about 12 years, and we had done everything. We had mastered production, we had learned how to build our brand, and we knew how to talk to our customer, but the distribution model was just broken. AI: Wholesale didn’t work because retailers couldn’t tell our brand story, and they were struggling to sell full-priced product. Retail didn’t work specifically for men because it was a foot traffic issue and even on our website it didn’t work because it had all the same problems as traditional retail. So 10 years in we were like, We’ve done everything in this business, and we can’t seem to find a scalable concept. Finally, in May 2012, we came up with the Five Four Club with the idea of addressing all the pinpoints—everything from choice to price sensitivity to curation to educating the customer. When we launched the Club, something resonated with all types of guys. For the next 18 months, we ran the Club concurrent with our retail and wholesale business, and finally in December 2013, we decided to shut down our wholesale business, our retail business, our website, and only allowed people to access Five Four by being a member of the Five Four Club site. AI: You take a 60-second quiz on our website, and based on that you get put into four different style buckets. You enter your credit card, and for $60 a month you get two to three items from Five Four every month. When we sat in the mall all those years, we noticed that when The Gap, J.Crew, or Express would put a shirt on the floor for $60, by the time it actually went out the door, it was like $25 or $30. So we were like, What’s the point? Being the discounter eventually hurts your brand. Let’s just get the product to the customer at the price they’re willing to pay for it. We decided to mimic our $60 at getting two to three items at 50 percent off at any of those mall retailers I just mentioned. 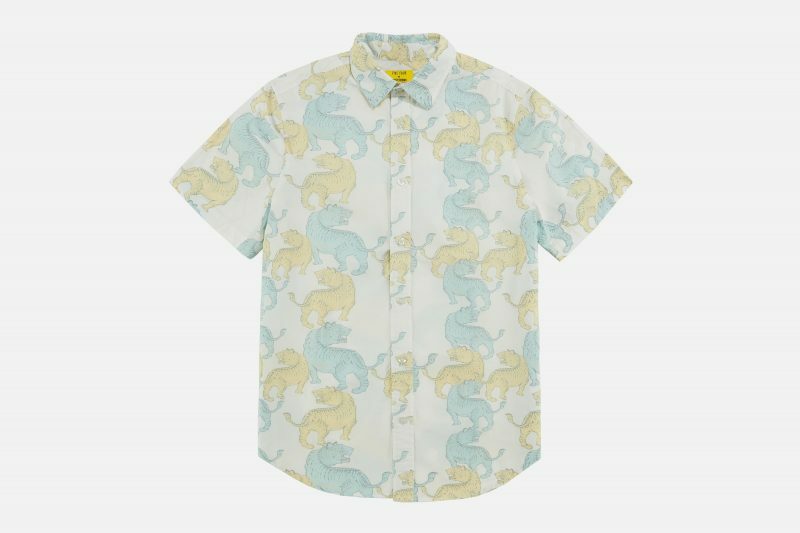 For example, a popular first-month package for us is a long-sleeved woven shirt and a pair of jeans for $60, comparable quality to The Gap, J.Crew, or Express. Where are the clothes being made? DM: Everything is made in China, and depending on the category we do stuff in Korea. We’ll make denim in Guatemala. Because of the scale of how big our business has gotten, we’re in A-grade level factories, so the same places as UNIQLO or Varvatos. The quality and efficiency of our production is on scale with that class. 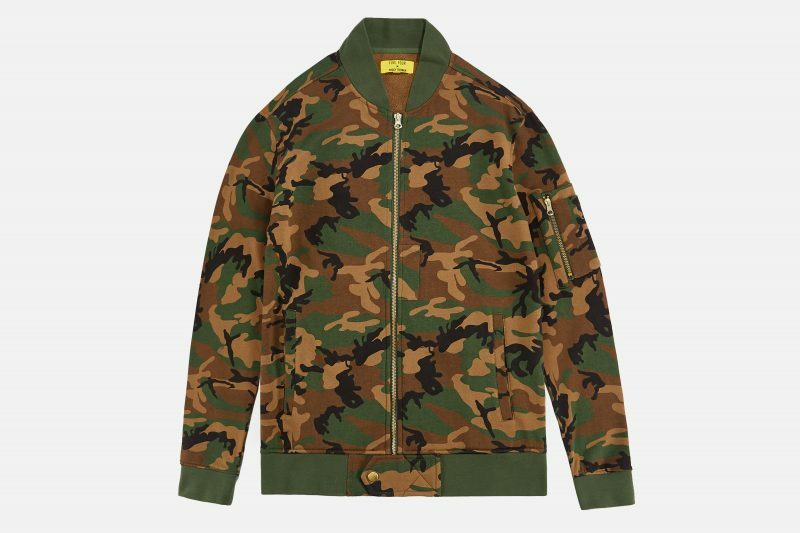 Can clothing be returned, if a member doesn’t like what they received? DM: At $60 a month you get two to three items a month, you get free shipping, but you get no choice and you cannot return, but you can exchange for size. In traditional e-commerce businesses, returns are such a killer, and our customer cares mostly about curation and great product. Guys are less likely to return compared to a women. We focus on educating the customer on the product they receive, so they’re very excited. AI: The design direction of the products that we send is more classic based and guys that have been members with us for a long time like the curation of the brand and the fact that they don’t have a choice. We discovered early on, five or six years back, that when it came to fashion and style, guys just wanted to be told. So, the difference between us and every other service-based concept is that they still give customers a choice. If they don’t want that type of curation then they should be a member of Five Four Club. They come to us to make their lives easier. What would you say the average demographic of your client is? AI: The average age is 28 years old. Our client is college educated and lives in a big city like New York, LA, Chicago, etc. For the most part, they’re usually single working guys with an income that ranges from $70,000 to $80,000. How many members do you guys have right now? DM: We’re just above 100,000. Last year the business was at $50 million. How does 2017 look? DM: 2017 is trending a little over $100 million. Wow! In one year you’ve already doubled the business? DM: Honestly, we smell blood. We’ve paid our dues in the apparel business like many others, and we just feel that we have a better understanding of the millennial guy and we understand how to market to them. We understand their primary concerns when it comes to brands and shopping, and I think we found the perfect formula that resonates with a large group of guys. A lot of other folks, specifically more traditional retailers, are missing that wave, and we’re just seeing an enormous opportunity to scale what we’re doing. AI: The Club has scaled so quickly that we started finding opportunities where our customer was coming to us and saying, Hey I really need a pair of boots, or, I really need some active wear. We decided that every new category that we wanted to enter, we will launch a new brand. 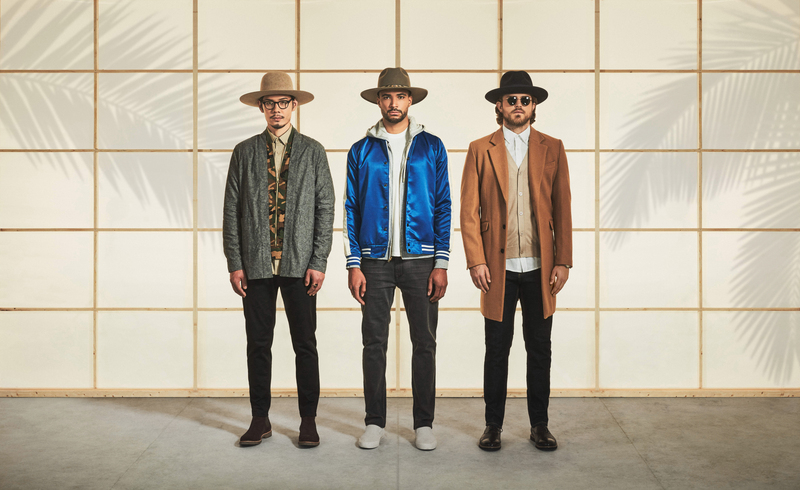 When we got into the footwear business, we decided to launch a brand called New Republic by Mark McNairy where the concept was an accessibly priced, fashion footwear brand. 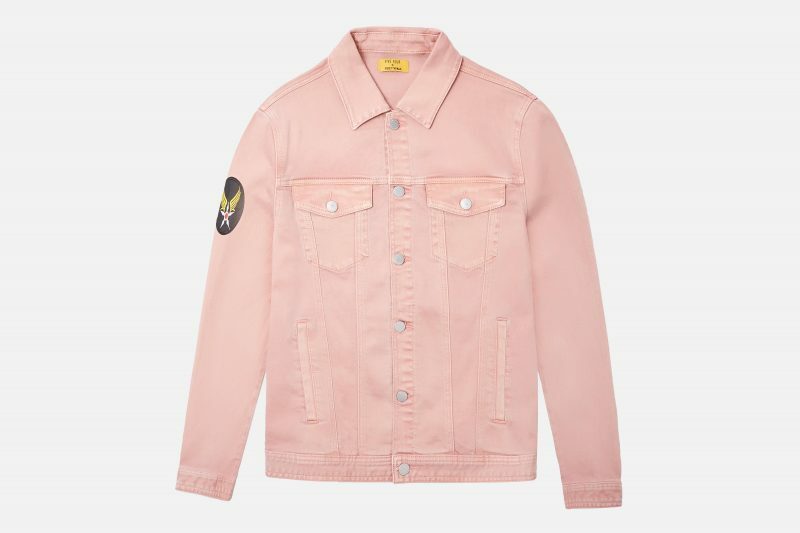 So things like suede, crepe sole, Chelsea boots, leather and suede drivers, just things in the traditional menswear with a fashionable approach. We priced it at a price point where it’s ready to sell. The Chelsea boots were at $99 and that’s for a non-member, but if you’re a Club member you get to purchase that shoe for 25 percent off and free shipping. So, footwear was the first category we launched, and that was in July of 2016, and to put things in perspective, in 2017 that’s already going to be a $10 million business. In December, we launched active wear—a pair of compression shorts retail for $29.99 and a fleece pullover hoodie is $49.99, for example. This summer and fall we’re going to be launching eyewear and men’s personal care. AI: Pretty much every day for like 12 years. DM: If you don’t love it it’s really hard. We’ve always been super passionate about what we’ve been doing at Five Four. We’re 36 and we started this business at 21, so it’s our lives’ work as far as our careers go. We’ve been through the pain of retail. We have a very unique perspective on the apparel business that I feel a lot of new age e-commerce folks don’t have. There’s a way to combine some of the great qualities of the brands that were built 30 to 40 years ago and apply that to the digital world today. If you can understand the distribution strategies, and how the millennial thinks, then you can take what the Tommys and Calvins did and know how to speak to them today. Very inspiring… I look up to these guys, started off humbly with just a few t-shirts… Now they’re generating $100m / year!